As a young boy, London-born Neil Cowley studied classical music at the prestigious Royal Academy, and by the age of 10 had performed a Shostakovich piano concerto to a full house at London’s Queen Elizabeth Hall. By his mid-teens, Cowley had joined a friend in a Blues Brothers tribute band, “as a way” he says “of getting into pubs”, yet the London pub circuit served him well—he learned to play classic, old school R & B in a number of bands whose members had come from, or went on to great things. By the age of 17 he turned his back on formal training altogether, and entered the world of pop. He went on to record and tour with some of the best soul and funk bands of the day, including The Pasadenas, 4 years with the Brand New Heavies, and Zero 7, until in 2002 he formed his own band, Fragile State. As one half of the Fragile State production duo, Cowley set the world of jazzy chill-out music alight and produced two critically acclaimed albums, from which came Four-Four- Four, a track that was later licensed by Vodafone for a nationwide commercial. When the record company dissolved, Cowley continued to make music; his incredible versatility as a composer saw him producing themes to a number of television programmes and documentaries, drawing on desert blues, chill, jazz and orchestral soundtrack. Cowley soon began to find the experience of extracting music from a computer chip unbearable, so set forth with his dear friend the piano and a renewed enthusiasm to present creativity without technological hindrance. 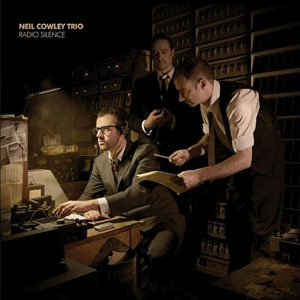 Cowley began composing and eventually realised a long-standing vision, and formed the Neil Cowley Trio with Richard Sadler on double bass and Evan Jenkins on drums. In June 2006 Cowley formed his own label, Hide Inside Records, and released the trio’s debut album Displaced, an outstanding album of original recordings that established him as a dazzling pianist and stunning composer. Through his examination of the possibilities of the acoustic piano trio, Cowley created a unique trademark sound that delivered, powerful music of massive dynamic range and contrasts ? ? where ferociously forceful, hook laden melodies sit side by side with reflective, tender pieces capable of heart shattering tenderness. The album was released to huge critical acclaim, and won the 2007 BBC Jazz Award for Best Album. 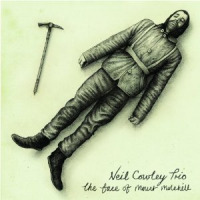 In February 2007, the Neil Cowley Trio undertook their first full UK tour, revealing Cowley’s instinctive flair and ingenuity as an entertainer. At the heart of their captivating live performances is Cowley’s marvellously English wit, mischievous humour and remarkable rapport with his audience. In the summer of 2007, the trio recorded their follow-up album, Loud... Louder…Stop for the indie jazz label, Cake. Fizzing with the energy of rock and the surging dynamics of dance music, Cowley solidified his sound, yet stretched the envelope further. Released in March 2008, it placed him and his trio at the forefront of the British ‘Post-Jazz’ movement, and earned them far reaching critical acclaim from across the music al spectrum. Mojo hailed the recording as a “Modern Classic”, and listed it in their ’50 Best Albums’ of that year. The trio became noted for blurring the boundaries between jazz and other genres, and, dubbed ‘Jazz for Radiohead fans’, they found themselves with a diverse touring schedule that would take them from Glastonbury and the iTunes Festival to the infamous Ronnie Scott’s Jazz Club. A TV appearance on Later with Jools, a Mojo cover- mounted CD (a celebratory reworking of the Beatle’s Revolution), and a Guinness commercial inched them further toward crossover status. In the meantime, dedication to his trio would see Cowley decline various invitations to appear as side man on other projects. However, his contribution to the platinum-selling 19, the debut recording from Adele, and in particular his poignantly expressive intro to the stand-out Hometown Glory is now legendary. More recently, Cowley has collaborated with the Stereophonics on their current album, Keep Calm and Carry On. Radio Silence is Cowley’s third album and undoubtedly his most cohesive recording to date. 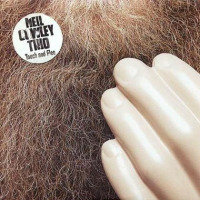 It is released in April 2010 on one of the UK’s most exciting Indie labels, Naim Jazz, and though the recording does not stray too far from the Cowley template, it represents the sound of a band fully comfortable in their unique sonic skin. It is the record that Cowley has been working towards, seizing the magical empathy of his unit, who, with thousands of hours under their belt have learnt to breathe and listen as one. Pianist Neil Cowley Interviewed at AAJ...And More! Raggy's off Limits Radio Show (#50) - Neil Cowley Trio & Black Sugar! British Jazz Superstar Neil Cowley Releases Debut Album in the U.S.
All About Jazz musician pages are maintained by musicians, publicists and trusted members like you. Interested? 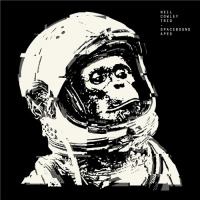 Tell us why you would like to improve the Neil Cowley musician page.